The Middle East is a region encompassing several countries in Western Asia and Northern Africa, though the nations most commonly associated with the region are those found in the Western Asian territory. The top destinations for a Middle East vacation include Jordan, Lebanon, Oman, Syria, and the United Arab Emirates, among others. Planning Middle East travel typically depends on the weather and chosen activities, as the region can be quite hot during the summer. Getting into and around some of the countries can tricky or expensive, as they are less frequently visited than larger tourist destinations elsewhere, but with a wealth of history and attractions, the trip will be well worth the trouble and expenses. 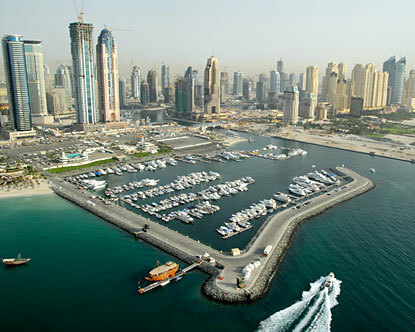 The Middle East has a variety of ports of entry, and depending on the chosen destination and duration of the visit, there are a number of visas available for admission to the region. Each country has its own set of requirements for attaining a visa, and several, including Lebanon, Libya, Iran, Iraq, and Syria bar entrance to natives of Israel, as well as those travelers with an Israeli stamp in their passport, so be sure to plan your Middle East travel itinerary carefully if you plan to visit multiple countries. Finding cheap fares for a Middle East vacation can be something of a challenge, but planning in advance is the ticket to success in obtaining the best deals, whether you plan to travel by air, boat, or over land. Arriving by plane is often the quickest and easiest method of getting to and from of the countries in this region, as crossing land borders can be long and arduous. Depending on your point of departure, traveling by boat may also be possible, and there are cruises that go through the Red Sea and the Mediterranean that offer stops in the Middle East. Among the most-visited countries in the Middle East are Oman, Lebanon, Jordan, and the United Arab Emirates. On the eastern portion of the Arabian Peninsula, Oman features beautiful landscapes and a variety of things to do and see. The tiny country of Lebanon, on the Mediterranean Sea, offers a variety of sightseeing attractions, from Jeita Grotto, nominated to be among the Natural Wonders of the World, and the Holy Valley, a World Heritage Site filled with religious establishments, caves, and lush vegetation. Nearly completely landlocked, Jordan shares the Dead Sea as a border with Israel; here, visitors can take advantage of the intriguing nature of the waters. 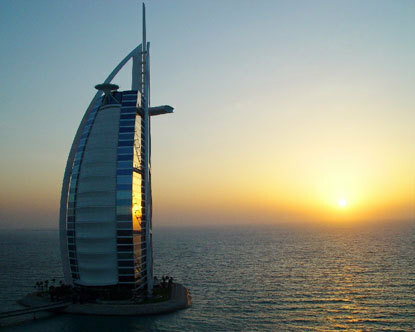 The main attractions of the UAE, a union of seven states (known as emirates), are the coastal wonders of artificial islands and beautiful beaches; the two most well-known cities are Abu Dhabi, the capital, and Dubai, one of the fastest growing in the world. Middle East travel also includes opportunities for religious pilgrimages. The cities of Makkah (Mecca) and Medina in Saudi Arabia are two of the most holy destinations for Muslims, and Israel is home the al-Aqsa Mosque on the Temple Mount. Holy Jewish sites are found throughout Israel, such as the Wailing Wall, which is also located on the Temple Mount, and important Christian sites such as Nazareth, the Garden of Gethsemane, and the Via Dolorosa are also found in Israel. Wherever the destination in the Middle East, the rich culture, lengthy history, and broad spectrum of sights and activities will make an indelible impression on visitors. 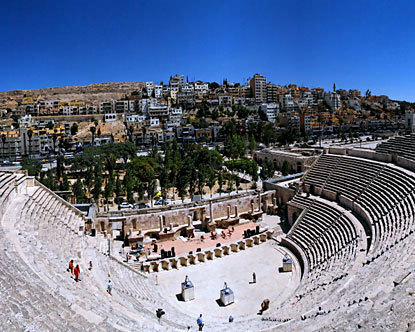 Whether your Middle East vacation is part of a religious journey or a leisurely vacation through the region's archaeological sites and beaches, you're sure to find that time here will be unforgettable and life-changing.